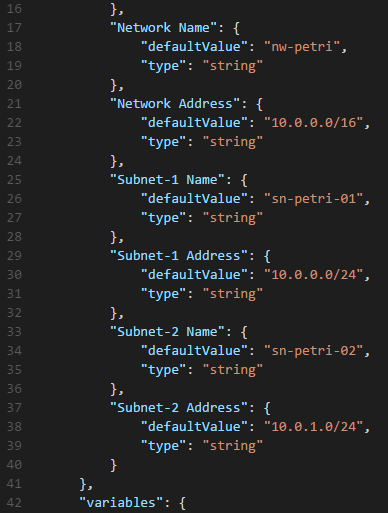 We will start with a pretty simple JSON that deploys a storage account into a resource group. The template asks, using parameters, the administrator to name the storage account and select a resiliency level for the Standard Storage (HDD) account. A variable (RGLocation) retrieves the Azure region of the desired resource group and is used to automatically place the new storage account into the same Azure region. 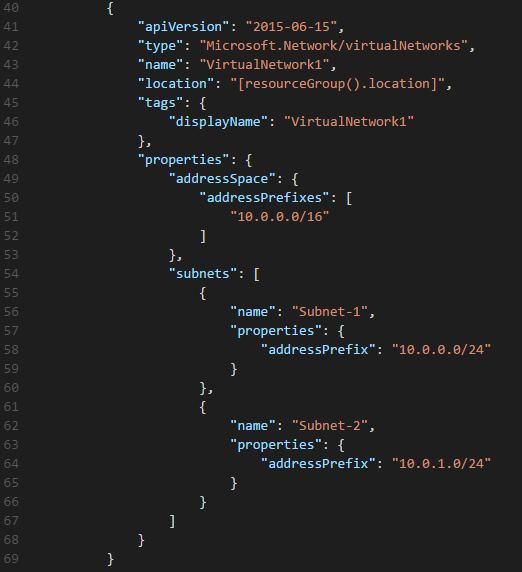 I could learn how to build out the syntax of these resources, but the snippets functionality of VS Code allows me to quickly add arm-vn (VNet) and arm-avail (availability set) resources to the template. I want to make a few changes. I will change the location setting so that it uses my RGLocation variable instead of running the resourceGroup() function again. name: The desired name of the virtual network. displayName: This will have the same value as name. 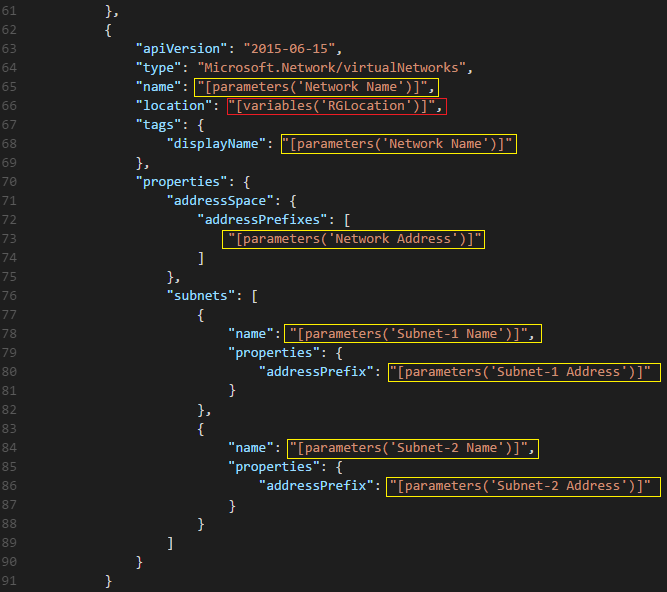 addressSpace\addressPrefixes: The network address of the new VNet. subnets\name: The name of each of the 2 default subnets. subnets\addressPrefix: The subnet address of each subnet, within the address space of the VNet. I added a comma after the brace that ends the VNet definition and then typed arm-availability to add an availability set, as shown below. name: Change this to a parameter. displayName: Use the same value as name. location: Use the RGLocation variable. You can deploy this template in several ways to quickly deploy a storage account, a virtual network (with two subnets), and an availability set with a minimal amount of effort, and you’ll get a consistent result every time.